An another Australian bed rose from Paul Hains this one is called 'Governor Marie Bashir' after the popular former Governor of NSW. This rose will add to the many outstanding Australian bred roses available. 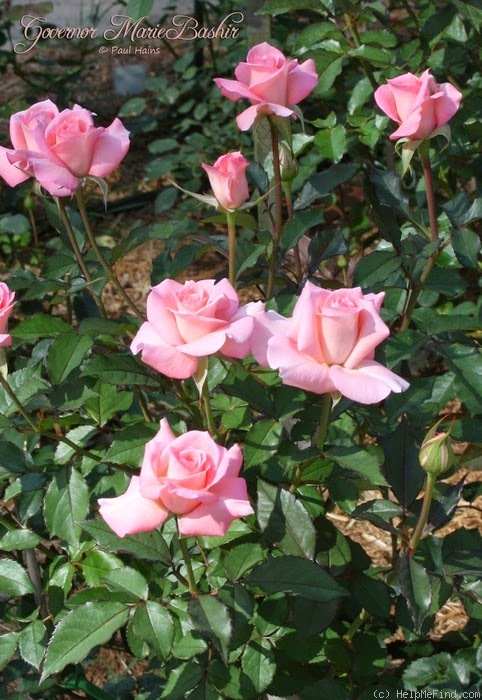 A light pink floribunda rose with a mild frangrance, medium to large growth habit, double flower, borne mostly as a solitary bloom form. This rose is a prolific repeat bloomer throughout the season. Height up to 95cm, Width up to 90cm. A very hardy, vigorous and disease resistant rose AND a real plus is that it is almost thornless! We Have a New Treasurer!